Michael Eastham, CPA, PFS, is the founding principal of Fellowship Financial Group in Altamonte Springs, Florida. 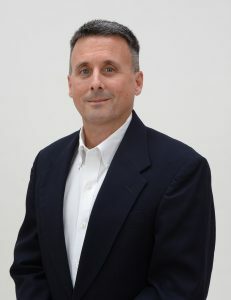 Mr. Eastham has been involved in financial services for over twenty five years. He is an active member of the American Institute of CPA's and has earned their Personal Financial Specialist (PFS) designation. He has a BBA in Accounting from James Madison University, holds a Series 65 & 63 securities licenses as well as licenses in Insurance and Annuities. His companies have grown out of a passion for excellence, coupled with a desire to serve families and business owners in accomplishing their financial goals using common-sense investment strategies. Michael and his wife Vickie have 4 children and reside in Lake Mary, Florida. If you know of a friend or family member who may benefit from our services, please contact us and we will be happy to help them. Call or email our office today to set up a Free Financial Analysis! This information is designed to provide a general overview with regard to the subject matter covered and is not state specific. The authors, publisher and host are not providing legal, accounting or financial advice specific to your situation.